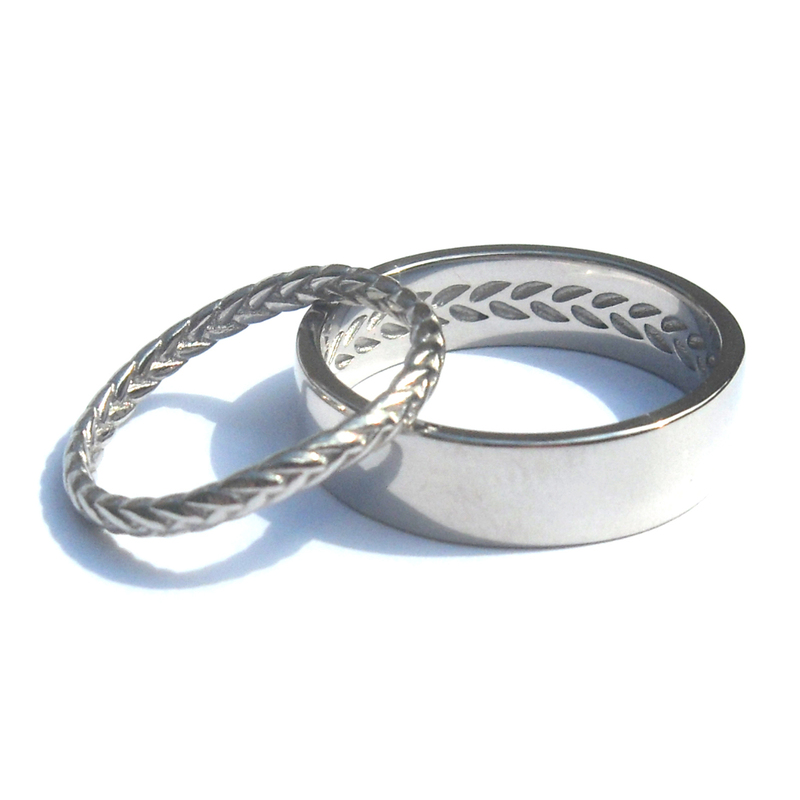 Bilingual wedding rings are thoughtfully designed to relate to each-other in a subtle and symbolic way – jewellery that embodies the special bond and connection a couple shares. 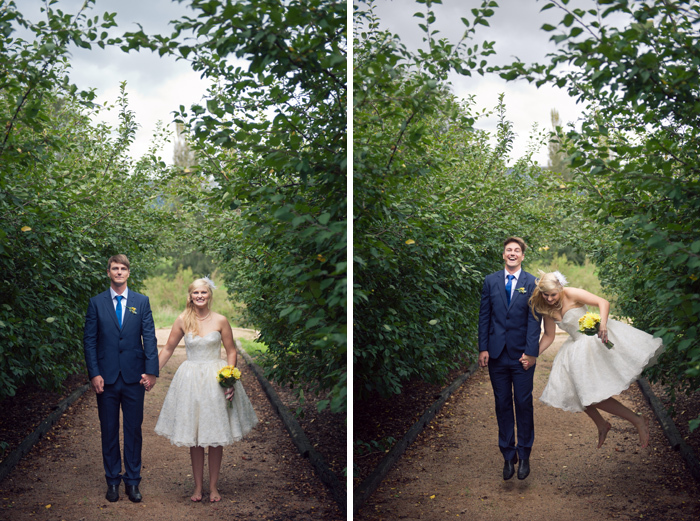 They tend to fall into three categories: matching, complimentary and custom. 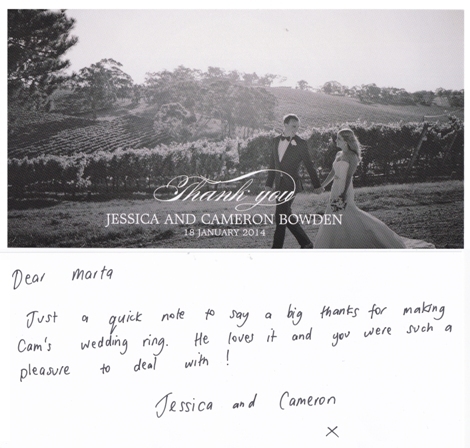 To give you an idea, here are a few precious memories from our wonderful customers with their special wedding rings. 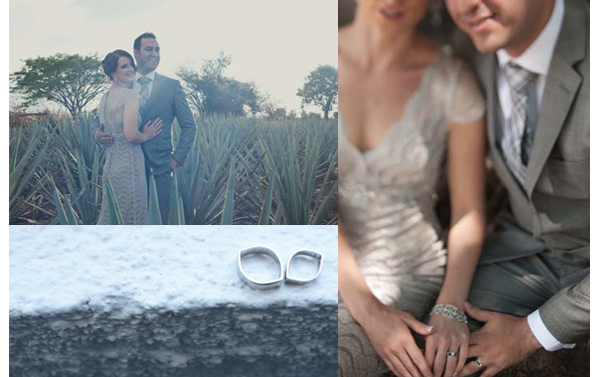 For this gorgeous wedding in Kangaroo Valley, the bride and groom chose matching white gold ‘Facet‘ rings, which symbolise the many sides of their relationship. 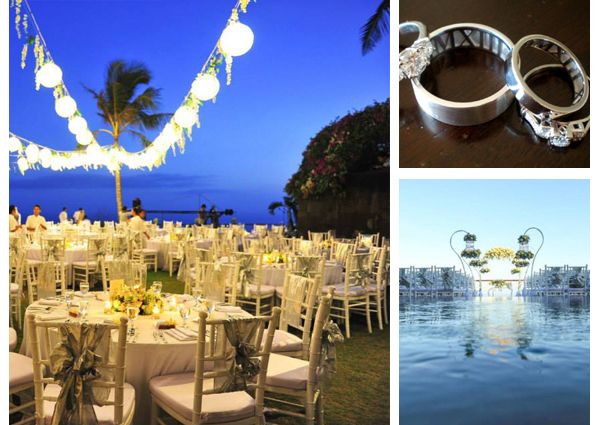 Our ‘Momento‘ ring featured at this vibrant tropical wedding and included the couple’s special date in Roman numerals inside their white gold bands. The ‘Echo’ wedding collection reflects a couple’s unique connection with a hidden pattern of the bride’s ring within the groom’s strong, contemporary band: a romantic secret for you to share! We have a variety of patterns available or can create a unique pattern just for you! 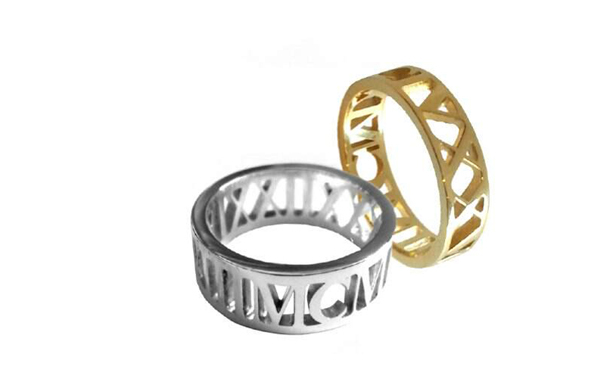 Miranda and her husband wore coordinated yellow gold pieces from our ‘Eclipse‘ range. 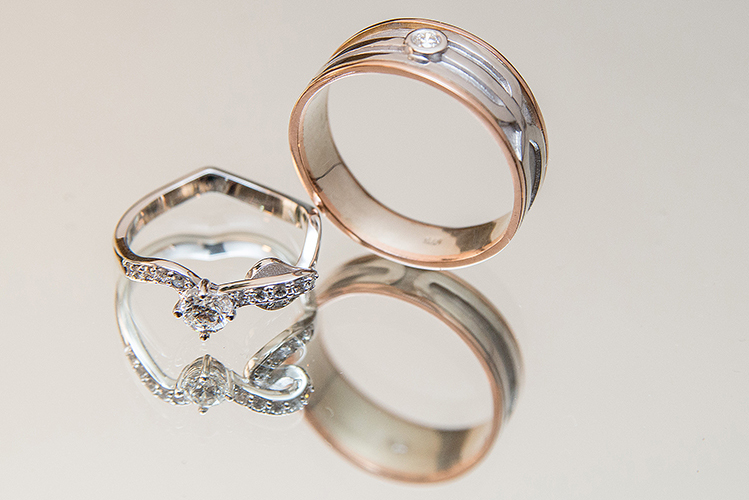 These contemporary white and rose gold wedding rings feature unique organic shapes, subtle contrasts and a precious garnish of diamonds. His features an elongated treble cleff and hers embodies the rhythm of music. Linda and Peter have a passion for architecture. 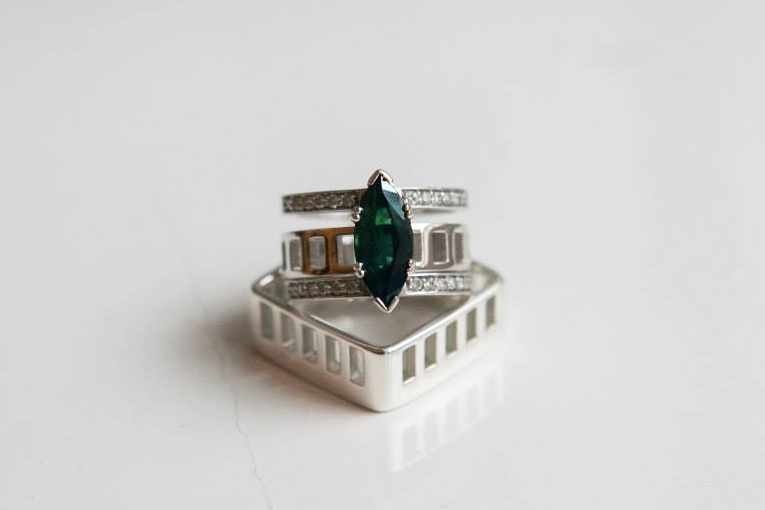 Their wedding features a stunning marquise Australian sapphire and a strong architectural theme throughout the set. 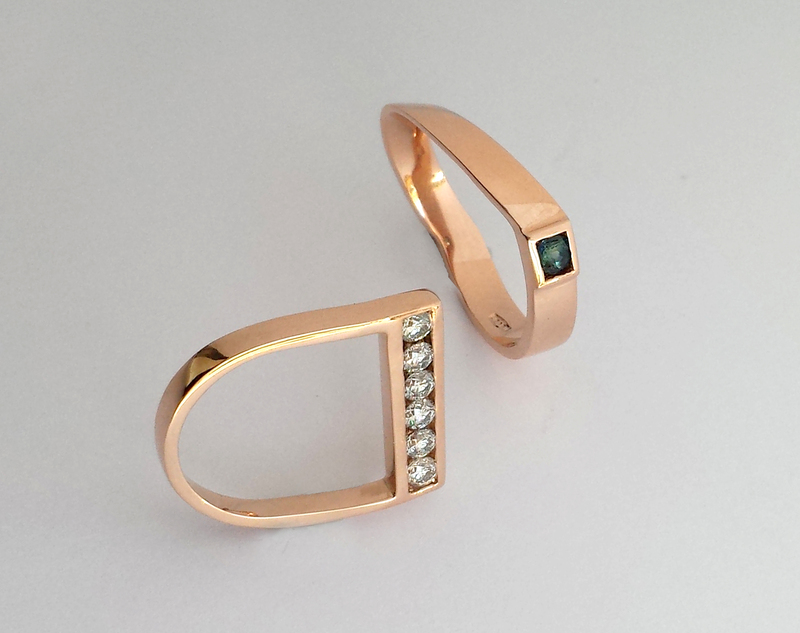 Made from the same rose gold, these designer wedding rings compliment each-other’s form and feature channel-set gems that symbolise their journey as a couple. The diamonds represent the number of years they had known each other and the Australian sapphire marks their heritage. 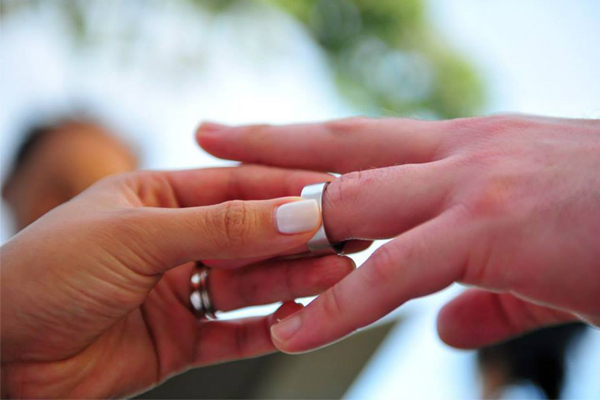 What would you like your wedding rings to say about your relationship? 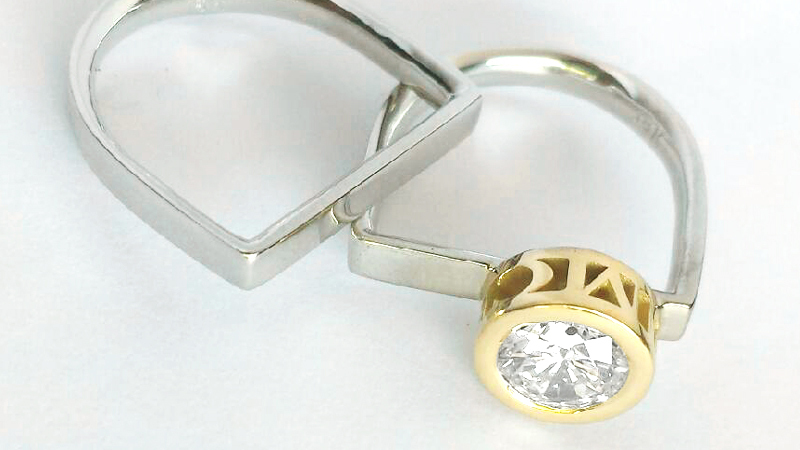 See more of our wedding jewellery designs, here, or contact us today to chat about your ideas! This entry was posted in Events on September 17, 2015 by admin.